A general-purpose half-inch preamplifier suitable for most applications – similar to Nor1201 except for the connector. 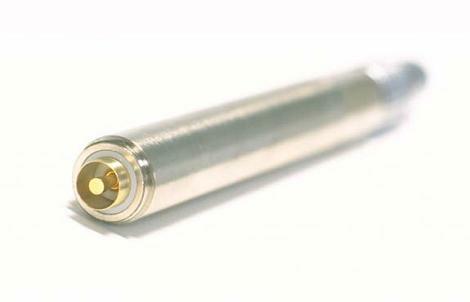 The pinout of the connector is similar to the Nor1201, but it is equipped with an integral LEMO style connector with a threaded nut. 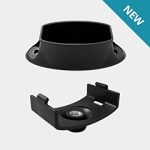 This allows the preamplifier to be fastened securely to a Norsonic sound level meter, such as the Nor118. It has a very low self-noise level and is fitted with an electrical heating system for use in conditions where condensation may cause a problem. Its high input impedance ensures a good low frequency response and the output stage is especially designed to drive long cables with full frequency range. 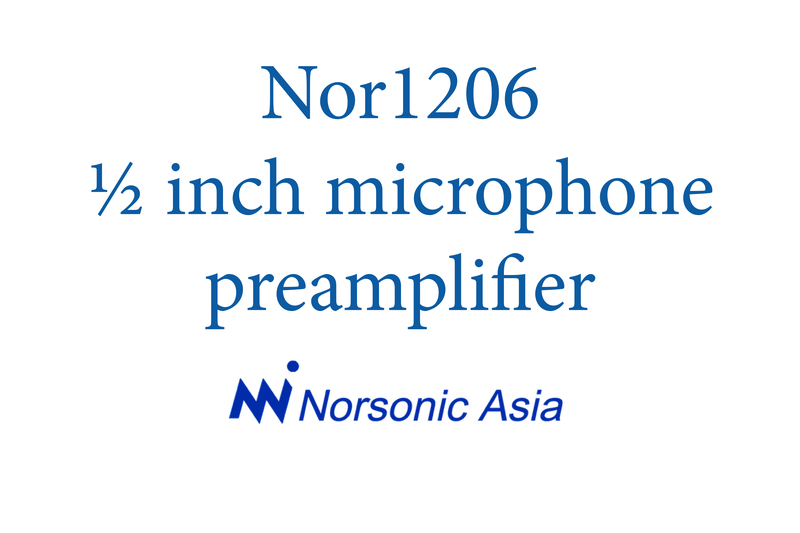 Preamplifier Nor1206 low frequency response for different microphone capacitances.der doors etc. Maximum upper frequency as a function of cable length in metres for a supply voltage of 120V. THD<1%. Values apply to Nor1206 only. Other preamplifers may give other results. Maximum upper frequency as a function of cable length in metres for a supply voltage of 28V. THD<1%. Values apply to Nor1206 only. Other preamplifers may give other results.